Fast-spiking neuron – a subclass of GABAergic interneuron, which is a main source of inhibition in the brain. There is a delay in the maturation of this important neuron in Fragile X syndrome. Northwestern Medicine scientists have discovered a delay in the maturation of fast-spiking neurons in the neonatal cortex of a mouse model of Fragile X syndrome, a human neurodevelopmental disorder. The investigators determined that the molecular mechanism causing the delay is a deficiency in the signaling of a growth factor protein, called BDNF-TrkB, during a critical period of brain development. Furthermore, by administering an activator of that TrkB protein receptor, the team rectified the cellular and synaptic connectivity delays in the Fragile X mice, thus restoring the normal maturation of the interneurons. The study, published in the Journal of Neuroscience, was led by Anis Contractor, PhD, professor of Physiology. Toshihiro Nomura, PhD, a postdoctoral fellow, was the first author. Fragile X syndrome is a single-gene disorder in which the fragile X mental retardation 1 (FMR1) gene fails to produce the FMR protein, which is essential for normal brain development. Fragile X syndrome results in learning disabilities, developmental delays, sensory hypersensitivity and behavioral challenges, and is the most common known cause of autism spectrum disorder. 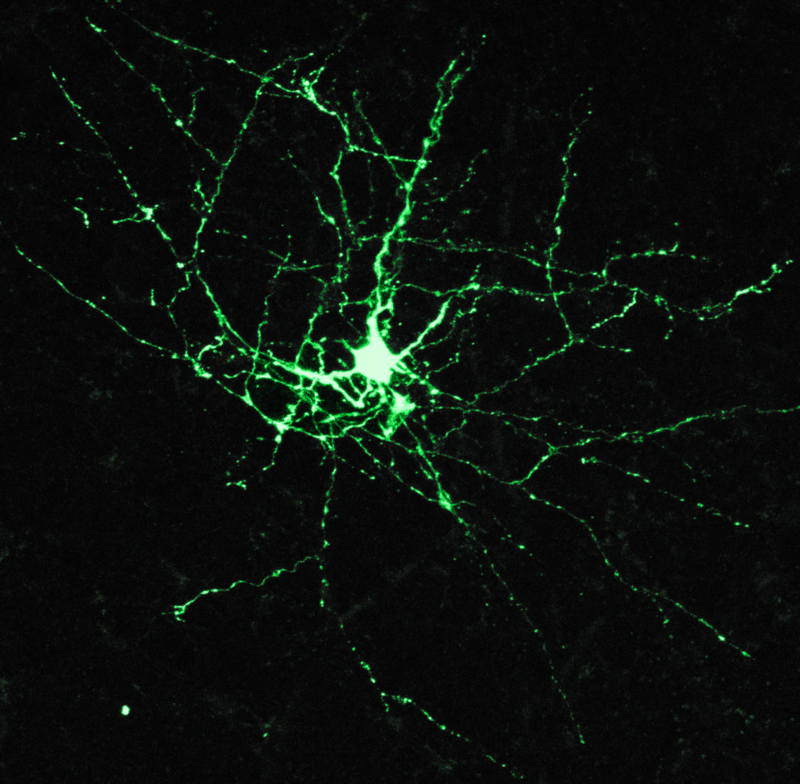 In the current study, the scientists employed electrophysiological, biochemical and histological techniques to explore the mechanisms underlying the neuronal circuit abnormalities present in Fragile X syndrome. Fast-spiking interneurons were of particular interest to the scientists, Nomura noted, as they are the primary driver for the “critical period” — a time window during neonatal development when neuronal networks are built and refined. Fast-spiking interneurons are a subclass of inhibitory neurons that release GABA, a neurotransmitter that reduces or inhibits neuronal and circuit excitability, regulating a balance of excitatory-inhibitory signals in the brain. “The major impact of this study is that, while it was known that changes in GABA-mediated inhibition are important in the developing brain in Fragile X syndrome, this is the first systematic, functional analysis of how these neurons develop and integrate into the cortical circuit,” Nomura said. Nomura noted that fast-spiking interneurons play a critical role in the pathophysiology of a variety of neurodevelopmental disorders in addition to Fragile X syndrome, including Rett syndrome and Dravet syndrome. “Therefore, it is possible that our findings in the Fragile X mouse model may be applicable for understanding the neuropathology of these child-onset disorders at the cellular and synaptic level and may provide a target for therapeutic intervention,” Nomura said. Additional Northwestern co-authors include Jian Xu, PhD, research assistant professor of Physiology; and John Marshall, Yiwen Zhu and Christine Remmers, all graduate students in Contractor’s laboratory. The study was supported by National Institutes of Health, National Institute of Mental Health grants R21 MH104808, R01 24 MH099114 and Department of Defense W81XWH-13-ARP-IDA. Toshihiro Nomura, PhD, was funded by a research grant from the Japan Foundation for Neuroscience and Mental Health.